Tesla said the flaw affects roughly 2,700 vehicles built before March 26, all of them in the United States. SAN FRANCISCO -- Tesla Motors said it will recall the Model X crossover to replace a third-row seat that failed an internal crash test. Tesla said it discovered the flaw as it prepared to launch the electric crossover in Europe. During a frontal-crash test using stricter European Union standards, a latch meant to hold the seat upright collapsed under the weight of a simulated passenger. 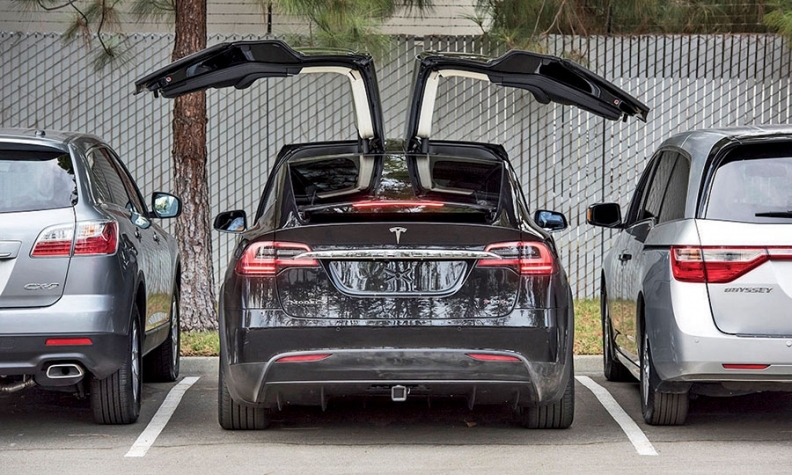 It marks the first recall for the Model X, which joined the Model S sedan in Tesla showrooms in September after being beset by manufacturing glitches with its upward-opening falcon-wing doors and independently moving second-row seats. Tesla said the flaw affects roughly 2,700 vehicles built before March 26, all of them in the United States. McNeill said Tesla expects to finish replacing the defective seats within five weeks at its factory-owned service centers. The defective seats came from Australian supplier Futuris Group, which supplies Tesla from a factory in Newark, California, near Tesla’s factory in Fremont. McNeill said he expects Futuris to bear the cost of Tesla’s recall because the action stems from a manufacturing error, not a design flaw. In the email to customers, Tesla urged Model X owners not to allow passengers in the third-row seats until they can be replaced.